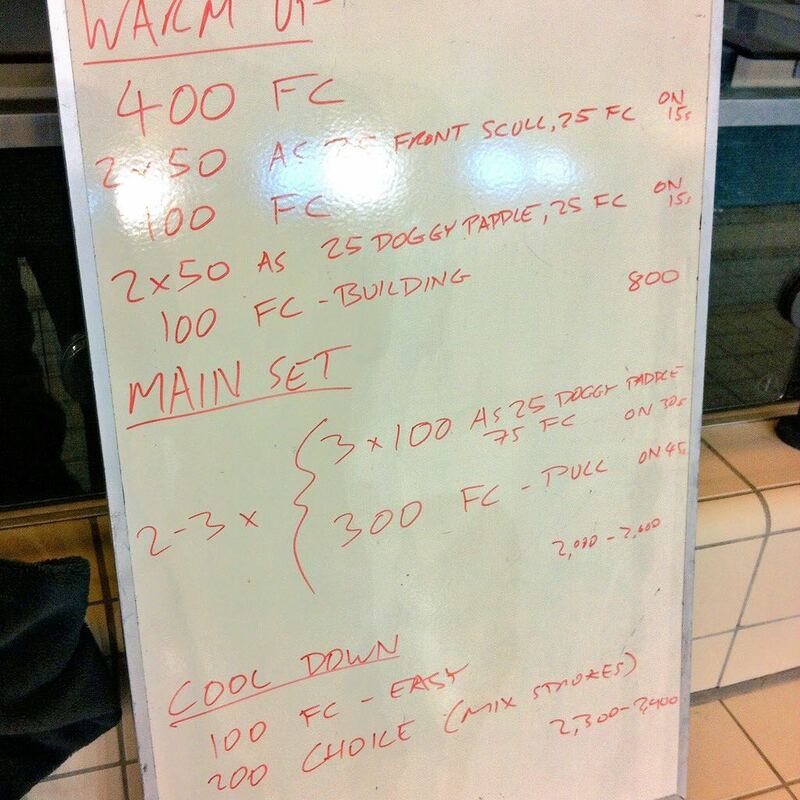 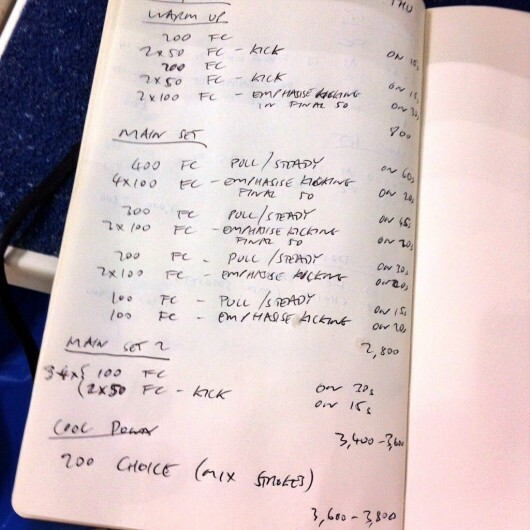 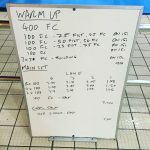 This week’s set of three swim sessions I coached for the local triathlon club. 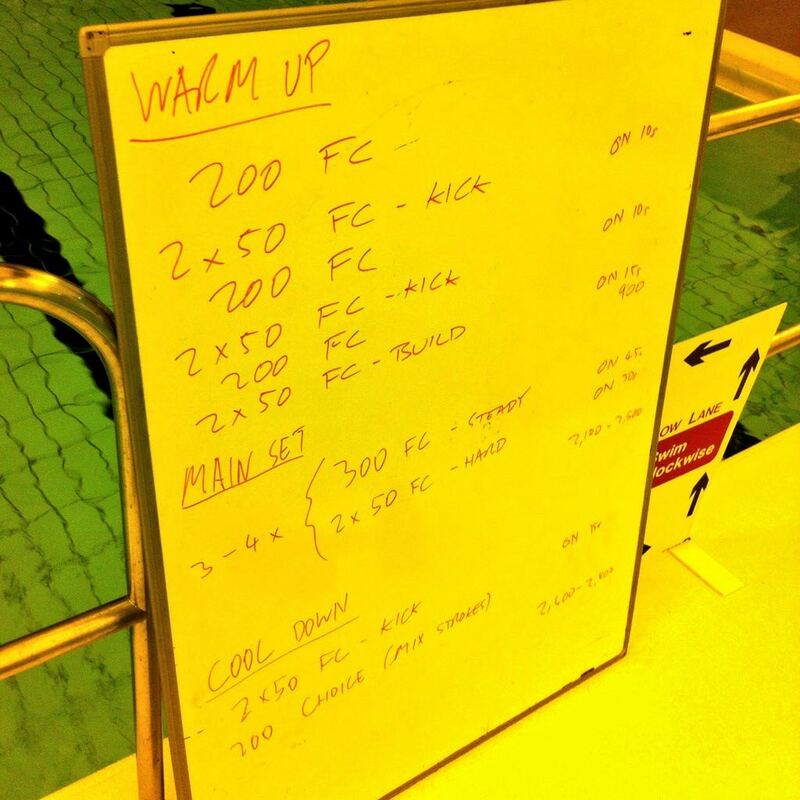 A very simple session for the Tuesday groups. 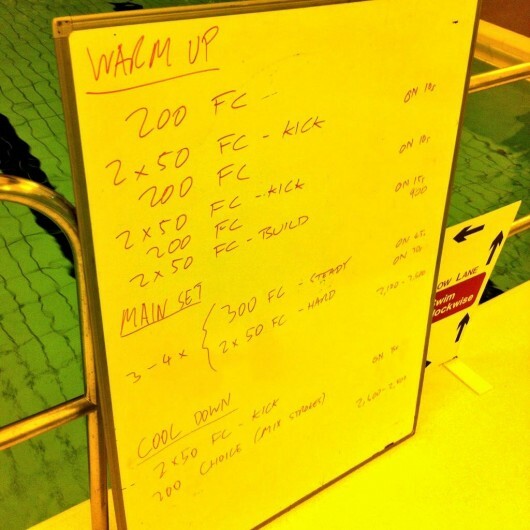 No specific focus for the set just some variation of pacing with a few pointers from pool side to help. 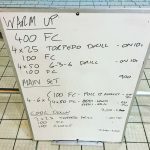 Wednesday the focus was on the catch, using doggy paddle drill throughout the main set as a reminder of a high elbowed catch. 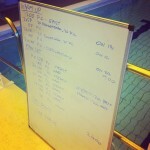 As it had been so succesful with swimmers in a previous week I returned to a kick focus this morning. 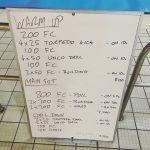 Trying to develop a consistent, efficient kick that fits into the swimmers stroke.